Why would you put an odd number of M&Ms in a fun-size package, when the only acceptable way to eat M&Ms is in pairs? I’ll allow you the necessity of a random selection of colors, even when that means I’ll be forced into a panicked on-the-spot decision about whether yellow or brown is a more acceptable mate to green. Multicolored candies are kind of your thing. I understand that the machinery is set up to dump a colorful mix into every bag with no consideration given to those like me who need to eat things in an orderly fashion. It’s just business. But I know you’ve got an extensive quality control system set up. Every bag of M&Ms, fun-size or otherwise, is allowed an exact number of grams of candy with no tolerance in either direction. 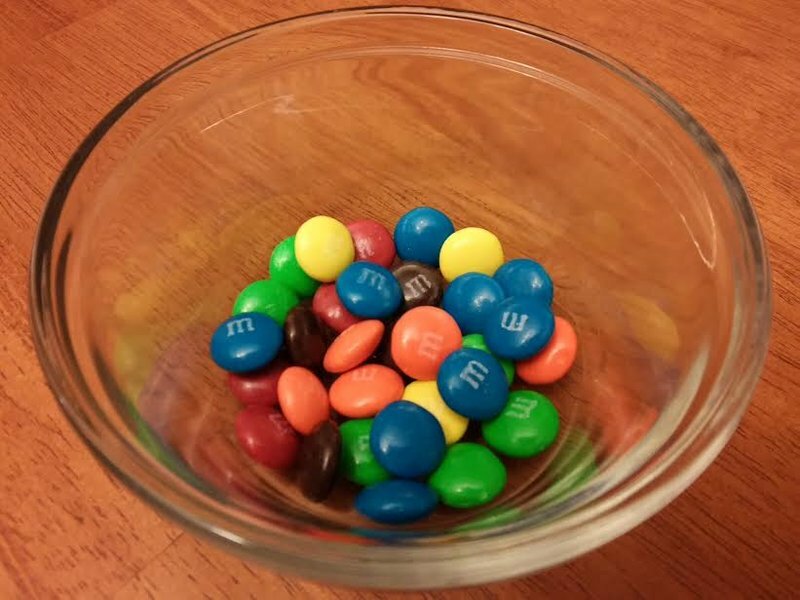 I just want to know why you’re monsters and set that limit such that an odd number of M&Ms meets your release criteria. You have the power to change this. Do the right thing. This entry was posted in Food, Thoughts & Opinions and tagged candy, opinions on November 6, 2015 by antijen.